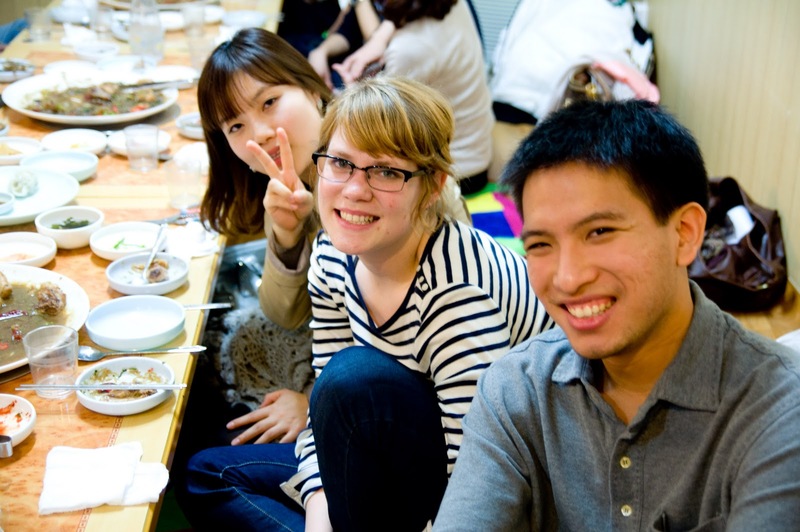 There are a lot of events happening this weekend in Gwangju if you are around! Check out the list below and hope to see you out and about! What: The holiday season is just around the corner and so is the annual Sungbin Bake Sale. Come out to support the Sungbin Orphanage! Delicious baked goods and books will be for sale downtown at the German Bar December 18th from 12:00-3:00. All profits will be donated to the Sungbin Orphanage. Details: To make all this possible, we need your help with donations. We’re asking for any kind of baked goods you can make as well as books. Pleas…e be sure to visit the Sungbin Bake Sale group page to post what you plan on donating (under the discussion tab). 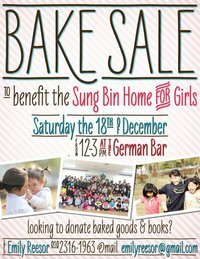 If you’re able to donate, you can drop off your baked goodness and books before the sale on Saturday between 10:30-11:30 at the German Bar. For those who can’t make it early on Saturday, we will be accepting donations Friday night (December 17th) somewhere down town (time and location to be announced). For more information please visit the Sungbin Bake Sale group page on facebook or contact Emily Reesor at 010-2316-1963 or emilyreesor@gmail.com. What: GIC would like to thank to the members who have supported the Center over the last 12 months. Everyone is welcome. Come on down to enjoy music, food, exhibitions and Art Fair! During the Art Fair, there will be a chance to buy artworks of Korean and international artists. Details: Visit their Facebook page. What: Lifestyle magazine Bling and KUNSTHALLE GWANGJU invite you to a night flea market with special items for the Christmas season. Stroll around the booths, look around, chat with the sellers and take your time to choose your favorite items while enjoying drinks and nice music. Sellers range from artists, fashion people to ordinary people – bet you will find your Christmas presents or a special gift for yourself. Details: Learn more by e-mailing estevan@thebling.co.kr or mail@kunsthalle-gwangju.com. Details: RSVP on the Facebook page or e-mail lindsay@saykimchirecruiting.com.